I do believe this is because Americans are used to their bread being sweeter, so McDonald’s obliges. They are also entirely different sizes. 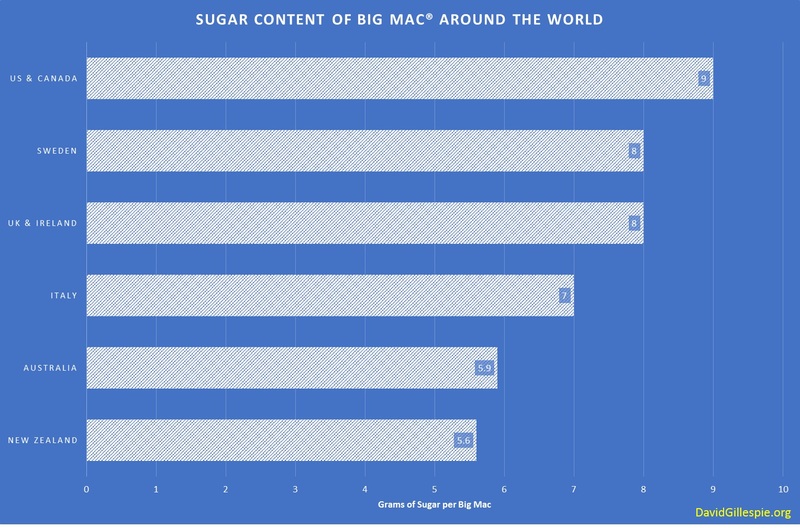 The Australian Big mac is considerably smaller than the US one, which is probably why it has less sugar. “And one thing that is sure to be available anywhere a jet can land is a Big Mac”: not exactly.